That includes online marketing activities – but strictly speaking, that also includes some traditional marketing activities, too. And that is good. Why? Because it would be a mistake to view online marketing activities totally detached from all other marketing activities. A great marketing campaign will combine the best of both worlds. To give you a thorough understanding of what the term „Digital marketing“ includes, here are the 10 most important types of digital marketing. 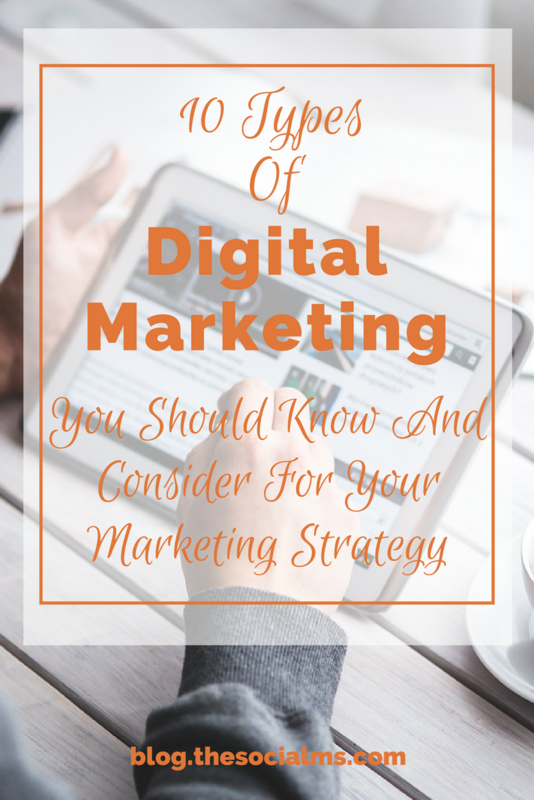 And you should make sure that you know about all of them before you decide what types of marketing you are going to include in your digital marketing strategy. And don’t just focus on one type of digital marketing. Most successful digital marketing solutions follow a multi channel approach. That means all sharing of information and engagement with followers, fans, partners or competitors on social media platforms with the goal of promoting your products is part of digital marketing. In essence, social media marketing is the targeted use of social media conversations to increase awareness for a brand or product. But be careful, to be successful with social media marketing you have to fully understand the one social network you want to use for your marketing. Each social network has unique features, communication best practices, and content they like. 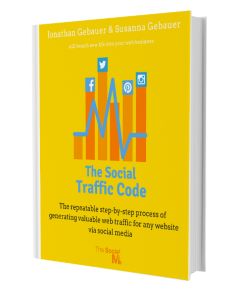 Some social networks will work great for your situation, product and content – others won’t. Today, almost all digital marketing strategies utilize social marketing one way or the other. And don’t worry, your social media strategy does not have to use ALL available social channels or take a lot of manual action. Focusing on one or two social networks and adding marketing automation to your activity will make it much more efficient. Content marketing is the art of using storytelling and valuable information to increase brand awareness with the goal of getting your target audience to take a profitable action. Content marketing aims at building relationships with potential customers and becoming a partner rather than an advertiser. That means that content marketing is often used in inbound marketing strategies through a content strategy that focuses on providing value to the target audience with the content. SEO is the process of optimizing content or websites so that they show up in search results in search engines like Google. Search engines decide which websites to show for a search term based on keywords mentioned on the website and links that refer to this website. That means SEO has a lot to do with using the right keywords or keyphrases in the copy of a website or within the content you want to show in organic search and getting links to this website or content. There are multiple strategies for optimizing your website(s) for search engines, and it certainly involves a lot more than shady link building. Some optimizations are accepted by Google and others are regarded rather shady and may result in Google penalizing your website. Read more about what SEO is and how it works in this article. Do you want to know how to make your blog ready for SEO? Learn what you have to do to get traffic from Google search to your blog? 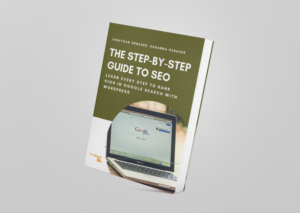 Follow the step-by-step instructions from our “Step-by-Step Guide to SEO” and see search traffic multiply! These are the methods we used to turn search traffic into our most important source for traffic. And you can do it too – search traffic success is just one click away! 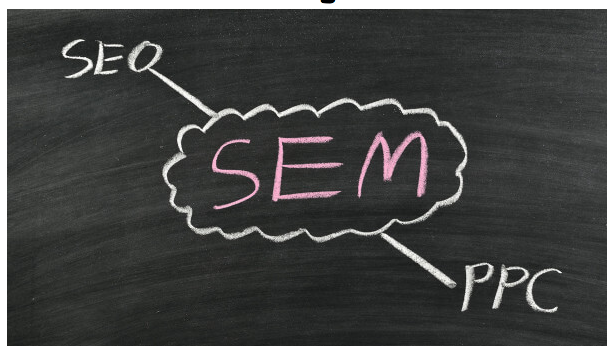 While SEO describes the process of getting unpaid traffic from search engines – SEM refers to using paid advertising to get traffic from search engines. The most common form of search engine marketing is probably Google Adwords for the simple reason that Google is by far the most used search engine. Paid search or SEM is a form of Pay-Per-Click advertising and is part of digital advertising. The best results from email marketing will always be achieved with a list of subscribers you personally earned and nurtured. Then your email list can easily turn into your best digital marketing asset and an email campaign can drive sales. There is still more to radio advertising: For instance, you can sponsor a program. Edit: Since there have been a couple of comments on this post why radio and television are included here, let me explain. There has been a huge development in radio and television in recent years and there are such things as digital radio and digital television. The options for marketing with digital adds a ton of options that former non-digital radio and television did not provide. That is the reason why I think digital radio and digital television have a rightful spot in this list of digital marketing types. Of course, many of the above types of digital marketing can take place on your mobile phone. That is called mobile marketing. You are probably using Facebook, Instagram, and Google on your mobile phone after all. But there are some other types of marketing on your mobile phone that so far would not fit into any of the mentioned categories: mobile advertising. SMS advertising has been around for some time now. WhatsApp as a marketing channel is growing. And with technology like Bluetooth still on the rise, the marketing and advertising options for mobile especially in local marketing have by far not yet been fully leveraged. It may be arguably what else belongs to „digital marketing.“ Marketing channels, skills, and digital tools are evolving. The marketing industry is not static but changing, growing, channels are coming up or dying, and skills like growth hacking live of the constant invention of new marketing tactics. Developing a successful online marketing strategy involves a lot of skills, knowledge – and even trial and error. 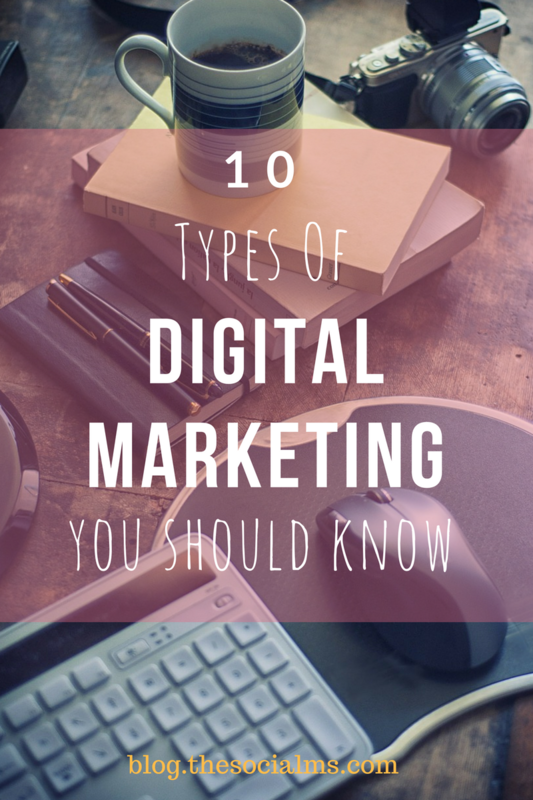 However, if you want to decide on your digital marketing strategy, you should be aware of these 10 – and choose the ones that you believe are best suited for your purposes. Keep in mind that they all interact with each other and often the lines are blurred. A great marketing campaign will combine multiple digital channels. You will most likely use more than one type in your marketing strategy.